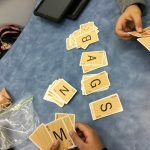 This week the students were able to play games! Oh…if it were only that simple. 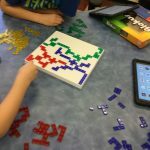 The students experienced both Game-Based Learning and Classroom Gamification. As usual, the students had to complete the weekly Design Challenge. They had to create a bridge that spanned a combination of either two chairs, two tables, or a chair and a table. The bridge had to transport a ping pong ball from one side to another and into a cup without dropping on the floor. They had pipe cleaners, popsicle sticks, straws, elastics, cups, paper clips, mailing labels, and chart paper. In addition to a restricted time, the students were now scored. 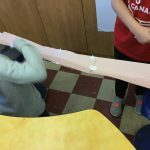 They received points for length of bridge, whether or not the ball dropped on the floor, and for teamwork. 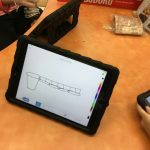 The students had to record the Design Process through Seesaw. The remainder of the day involved the students playing a variety of games. The games were chosen to challenge the students Critical Thinking, Creativity, Collaboration, and Communication skills. The students could self-select the games and participants. The games included Battleship, Jenga, Scrabble Slam , Uno Dare, Topple, Blokus, and Sudoku. Students were also able to create their own game! 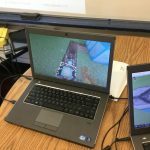 Using Minecraft Education students create a mini-game that others in the class would be able to play. 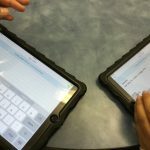 Once the students completed a game they had to write a mini-reflection stating what 4C they thought was most appropriate for the game . They also had to reflect on how they used that 4C. 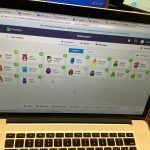 To encourage student reflections, ClassDojo was used as a gamification tool. Every time a student posted they received a point on ClassDojo. Some students got competitive with how many reflections they could complete. Nearing the end of the day we had a discussion pertaining to Personalized Learning. 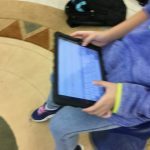 On the final day of STEAM, students will be able to continue an activity they found intriguing or explore one they did not have a chance to try. The first step in this process was to write Mr. Paintin a persuasive letter explaining what the students want to do and why they want to do it. Moving forward, the students will have to work through the Design Process to plan their day and come up with an expected outcome.